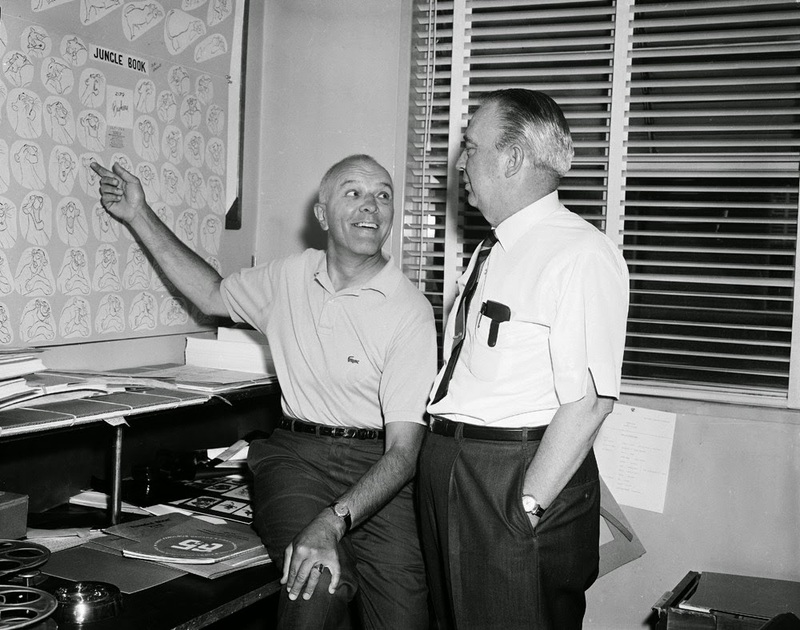 Milt Kahl is showing off model sheets of Bagheera from The Jungle Book to colleague Eric Larson, who seems somewhat less excited than Milt. During the 1960s practically all Disney model sheets were comprised of Milt's rough animation drawings. No turn-around sheets, no character maquettes, just Milt's animation drawings from his first production scenes. Director Woolie Reitherman realized that nobody drew and designed new Disney characters better than Milt Kahl. Milt's drawings were the final word, the standard all other animators looked up to. Their goal was to come as close as possible to these sophisticated designs graphically, but still insert their own approach to the characters as far as acting and performing. I want to show a high in Milt's career from the golden age of Disney animation to a later high, just before his boss passed away. Both drawing styles are astonishingly beautiful, one round and dimensional, the other graphic and sophisticated. It is so interesting to me that neither Milt, Frank and Ollie, or other animators recognized these two different styles within Disney Animation. 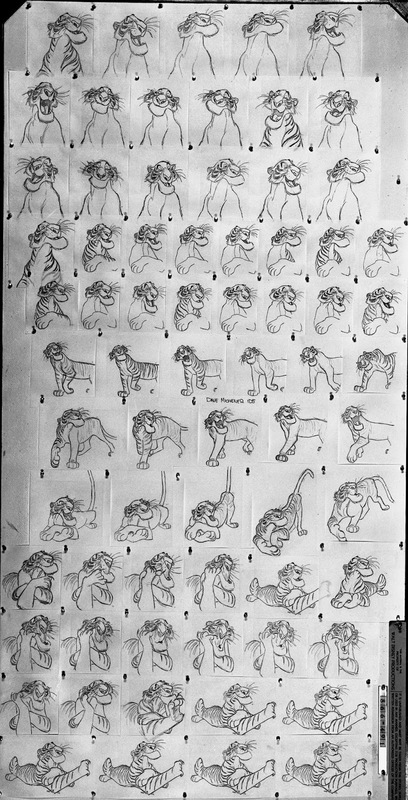 I remember asking Eric Larson about the change in approaching Disney drawing, and he just mentioned that the animators drew what was required of them. To Eric there didn't seem to be new approach at all, you drew the characters a certain way in order to get the best results. 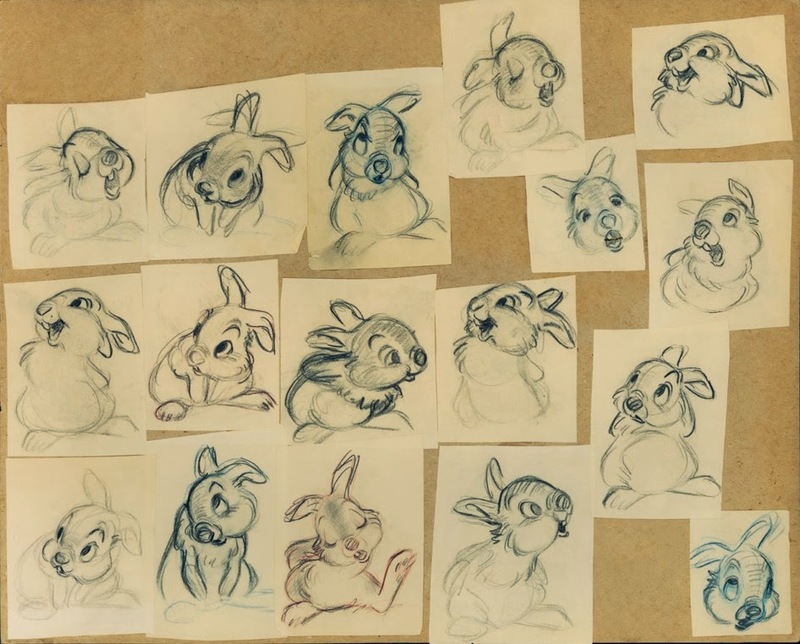 Milt's rough animation drawings from Thumper's famous scene: "If you can't say something nice..."
Key drawings from Milt's first few scenes with Shere Khan.